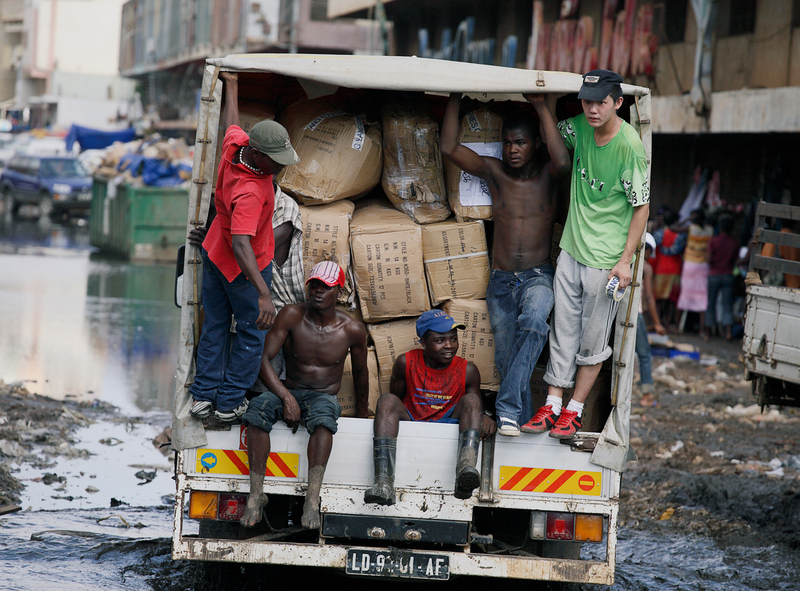 A Chinese businessman travels with with Angolan workers on a truck carrying imported Chinese goods, at the Chinese market in Luanda, capital of Angola, March 31, 2007. China has loaned Angola an estimated U.S.$60 billion dollars since the two countries established diplomatic relations back in 1983, making it one of the top destinations for Chinese financing in Africa. Angola is especially attractive for the Chinese because of its abundant oil reserves that it uses to pay back all those loans. Under normal circumstances, Angola should be well-positioned to manage its finances: the money it earns from oil would be used to pay off its debts and the country’s economic development. The problem is that Angola actually generates very little cash from its natural reserves because much of its oil is never sold on the open market and is instead used to pay off all the Chinese debt, prompting a severe liquidity crisis. That is, there just isn’t enough actual cash circulating in the economy, which also explains why Angola struggles with some of the highest inflation rates in the world. The government then goes back to Beijing to borrow yet more money and the problem worsens. Ana Cristina Dias Alves is an Assistant Professor at Nanyang Technological University in Singapore, where she is one of the world’s leading experts on Sino-Angola relations. She joins Cobus to explain why this relationship is so important to China and how it might change under Angola’s new president, João Lourenço.